On a sunny day at Blarney GAA where Cork were taking on Limerick, Shane Barrett, a Blarney man, was announced as captain of the Cork Minor team. It was a momentous occasion to have a founding member of MC2 Accountants, Jim McCarthy, also a local Blarney man, to present Blarney GAA 50 new tops for the coaches of Club na nÓg. 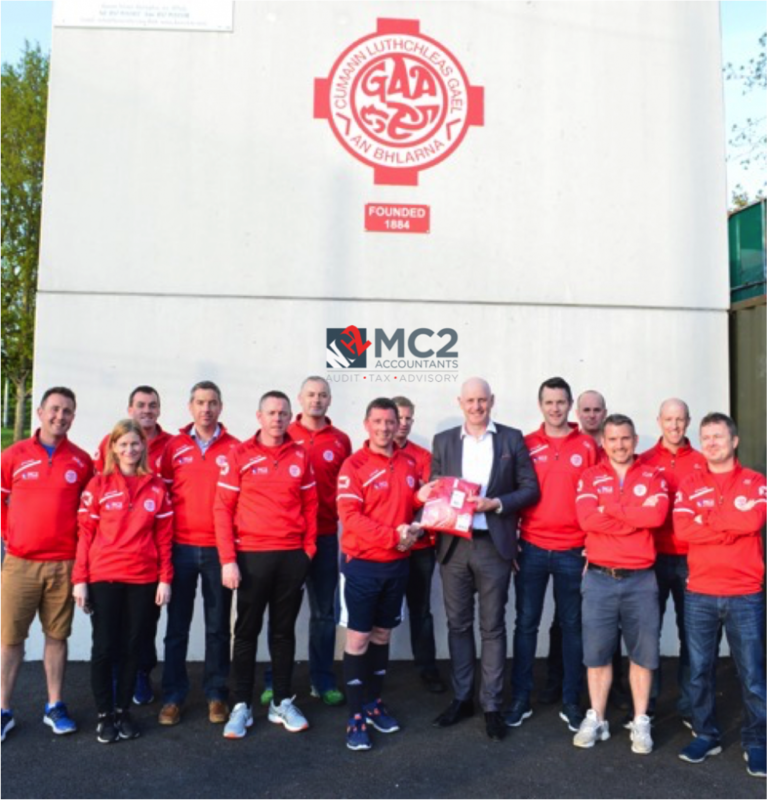 Blarney GAA Club na nÓg coaches were delighted with the new gear and are excited to sport the MC2 logo on the club gear, just as MC2 Accountants are proud to be sponsored partners for the Blarney GAA coaches.